We are in a beautiful stage in Door County, Wisconsin I like to call the “In-Between”. 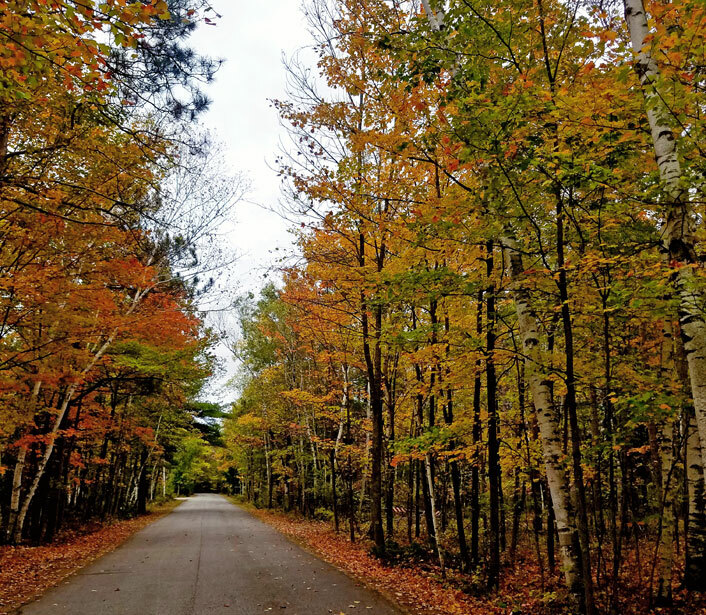 Fall is upon us, as we are celebrating the Fall Equinox, and Door County has yet to reach peak color yet there are so many autumn sites to see. So many people wait for the peak colors of Door County’s autumn foliage that they miss the glorious colors of now. The time when the fall leaves have a combination of orange, yellow, red, and green. The leaves are just starting to scatter on the ground but there is no need to worry you might miss the fall colors because most of the leaves are still changing colors moment by moment on the trees. Another joy of the In-Between is there are less tourists vacationing in Door County because most travelers are holding off for the “peak” fall colors which is a lofty goal in and of itself. When do the leaves reach their peak colors in Door County? As hotel and lodging tourism professionals we are asked this question often. However maybe the real question is: “Can I take the time to enjoy the In-Between time of colors and festivals and just make a last minute plan to enjoy the now.” Do we do that anymore… enjoy the present? Come take a couple days and stay with is at Glidden Lodge Beach Resort, located in Sturgeon Bay, WI where you are in the middle of all Door County has to offer… weekday resort lodging offers affordable prices and you can enjoy all the shopping, dining, and adventures that Door County, Wisconsin has to offer with less traffic and more peace and relaxation. You deserve this. Discover the Joy of the In- Between, a great time to book your Door County hotel.